The particle size of fly ash has influenced the physical and mechanical properties of geopolymers. Fly ash completely was ground to different pre-decided sizes, sieve sizes 180 μm, 90 μm and 45 μm (80 mesh, 170 mesh, 325 mesh) for formulation of geopolymer paste, and two activators were used: 8(M) NaOH and 1:1 mixture of NaOH and Na2SiO3. The heat evolution increased with increasing fineness of fly ash. The increase in ambient temperature enhanced the extent of geopolymerization. The maximum heat flow was obtained with the finest fly ash particle of size 45-μm (325 mesh). The microstructures of the various geopolymers revealed the compactness of the structure which had the finest 45-μm (325 mesh) particle size and silicate-activated geopolymers. Apparent porosity was found to decrease with increasing fineness and addition of sodium silicate. Mercury intrusion porosimetry (MIP) revealed the total porosity; median pore size and average pore diameter were found to decrease with increasing fineness. However, mesopores were seen to be more in 45-μm (325 mesh) fly ash geopolymers compared to 180-μm (80 mesh) fly ash geopolymers. Compressive strengths of geopolymer formed by 45-μm (325 mesh) particle size had greater compressive strength in comparison with the coarser one. Inclusion of sodium silicate in the activator solution was helped in enhancing the compressive strength. 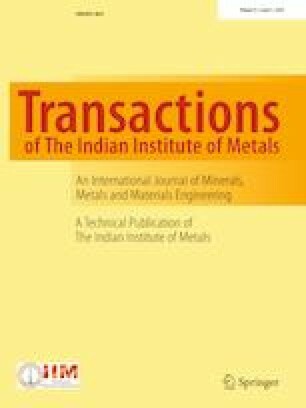 Authors gratefully acknowledge Director, National Institute of Foundry and Forge Technology, Hatia, Ranchi, India, and Director, BIT Sindri, Dhanbad, India, for having made available facilities for carrying out this work, along with valuable scientific and technical assistance.